It is not uncommon to hear some of these concerns in today’s world. News of people losing their jobs due to automation has become a key concern in the economy. According to one study, 4 out of 10 jobs today will be lost due to automation. The effects of this transition are already being felt in the IT, ITeS and Security Services, where job losses are expected to be around 1.75 lakh to 2 lakh jobs per year in the next 3 years. Keep an eye on what the government is doing: Government regulations with respect to information technology and its latest reports on employment trends and labor laws give insight into macro-level changes that underpin the economy. Take the instance of the government’s flagship initiatives such as “Skill India”, “Make in India”, “Digital India” and “Startup India”, announcements regarding these initiatives help understand the business opportunity for the IT sector. Look at emerging platforms and operating systems: The IT marketplace is crowded with a number of operating systems, web services and platforms. Once you spot an emerging platform, make sure your team is skilled in the native language that is associated with it for e.g. C, SQL, Java etc. As more organizations move to a particular platform, the need for programmers to support it will increase. But be careful. Often the platforms that are most popular with developers don’t offer the best economic opportunities—because everyone else is focused on them. Instead, look for platforms that are in demand from buyers, not programmers. Learn about emerging technologies: There are many technologies that are still new and unproven. And any of them could potentially be the new ‘big thing’. But how do you spot these trends before others? 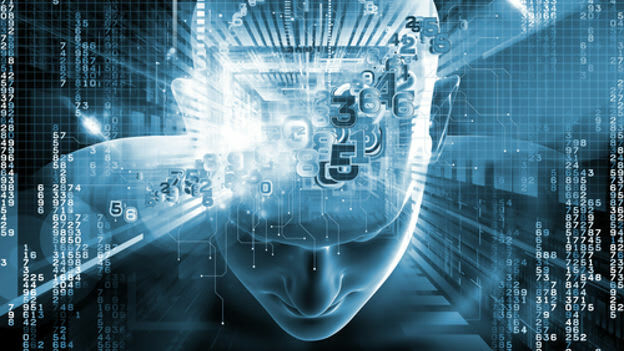 The answer lies in tracking ‘areas to watch’ – whether these are the creation of products and services enabling the virtual world, virtual currency, artificial intelligence and augmented reality and robotics - that have already made major advances. Big Data and functional search are other interest areas. And while it may be years before a major break-through happens, these areas could provide lucrative employment opportunities for engineers and software developers. Look for opportunities where demographics are changing: In the developed world, populations are getting older and moving out of the workforce. This demographic shift is driving the demand for newer technologies in health and wellness. Advances in remote control technologies are making long distance surgery a common practice. And there are endless technologies that can help improve the lives of world’s aging population – as are related career opportunities. Long-term thinking and career planning: Align your employees’ training with your organization’s long-term strategy and plan on the skills your employees would require in future in order to achieve organizational success. Identify competencies your employees will require based on the organizational vision and prepare a road map of their career so that they are business ready. Technology is disrupting multiple sectors right from pharmaceuticals to robotics to artificial intelligence. According to a report by World Economic Forum, one third of the skills that are now considered important will change in the next five years from now. Though these trends are unlikely to be in our control but diversifying our employees’ skills and motivate them to be avid learners which can help them to accelerate their career trajectory. Where is your business headed? What are the kind of skills that you need your teach team to have? What do you want to do next? These are the kinds of questions you need to ask again and again, to make sure you end up where you want to go.